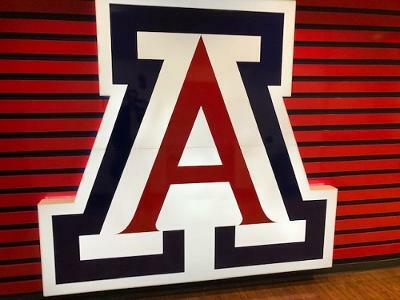 We got to kick off the first course for PRI in 2019 at the University of Arizona in Tucson! Special thanks to Ben Crawford and the Sports Medicine Team for hosting! Amazing facilities and amenities and this was a perfect site to kick of the year. I have confidence the PRI minds are going to be growing after this course as we had a very engaged group. I’m excited to hear how they will be growing and using the material over the next year! 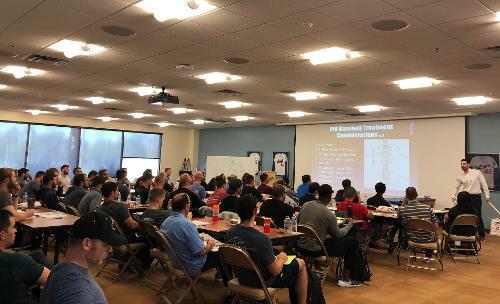 The PRI Fitness and Movement Course is an advanced 2 day course geared to address the integration of dynamic thoracic posture and axial frame asymmetry. It’s a principles based course to empower fitness and performance patterns through respiration and alternating reciprocal activity. Our manual is full of exercises to get clients moving and optimizing dynamic postural relationships, so that their workouts can help them better adapt in a stressed, technology driven, and progressively changing world. There is so much intangible value of understanding the empowering benefits of how to coach and train a diaphragm and pelvic/hip complex to work together. This knowledge is foundational for all fitness and movement professionals, including Personal Trainers, Strength and Conditioning Coaches, Athletic Trainers, and Physical Therapists. I’m excited to be entering into our 3rd year of teaching this course. This year we have some new focuses on screening and programming. Some of the “exercises” taught in this course can be used as screening techniques and/or as training techniques. 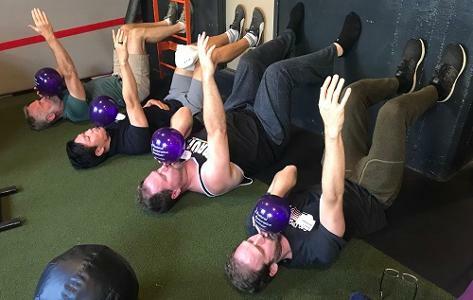 A true test to an athletic body in balance is when clients can move in and out of a good diaphragmatic position and “feel” the correct family of muscles working… automatically… without excessive effort. Can the right things work together? Can relationships stay intact? Lastly, it wouldn’t be a complete trip to Tucson, without a stop at one of James Anderson’s favorite restaurants Café Poca Cosa. Classy, delightful experience and such a yummy surprise plate of food. I have no clue what I ate, but it was good and I hope to return one day! Want to progress your PRI understanding or get introduced to the science of Postural Restoration? Then this is a great course for you! Hope to see you at one of our courses this year! Next month, we will be teaching at a private host site, then off to Brunswick, Maine - Syndey Australia - Boston, Massachusetts - Dublin, Ohio - and then Fort Collins, Colorado. Visit the PRI Affiliate Course section for more details. Every year the first week in December marks the beginning of the end. The start to our four day Advanced Integration course is much anticipated throughout the year as we prepare and look forward to welcoming our PRI Family “home” for the Holidays. For all of us at the Institute it is truly a time of gratitude and renewal as we host course attendees from all over the world here for the last course of the year. This year we were thrilled to have 15 of our 18 faculty members here, laying the stage for one of the best years yet. We also welcomed attendees from Australia, Denmark, Germany, Japan, Malaysia and 23 other states. Many of you may know by this point that attending the same course twice may lead to two very different experiences. This years Advanced Integration was unlike any previous renditions due to the constant dialogue between the Presenters and the many Faculty members in the audience. Every year the Primary Concepts are integrated, expanded on and projected in a new way to reflect the current state of the culture around us. Many of us will spend time with family over the upcoming holidays and all of us will join these conversations with different biases, dispositions and attachments. In order to remain loved and continue to love our family members we must sense our own physical and emotional constraints while at the same time appreciating theirs and inhibiting any negative outcomes that otherwise may occur. Similarly, if our anatomical families do not work together and appreciate what each group can bring to the table, neutrality may be lost. Advanced Integration continually reminds us to appreciate each of our family members and the role they play in balancing our autonomic function. 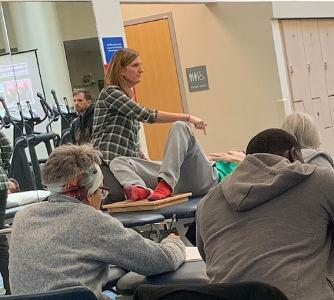 Myokinematic, Postural and Pelvic concepts were solidified through four days of appreciation for each presenter, practitioner, and person in attendance. Thank you to all of our PRI Family for making the trip to Lincoln. Although December is typically the coldest time to visit, we are grateful to end each year with all of you. Not only does this course solidify all of your integration throughout the year, but we hope it also lays the foundation for a successful start to the next. Wishing you and your Families a very Merry Holiday Season and start to the New Year! CLICK HERE to see all Advanced Integration 2018 photos! Last weekend I enjoyed teaching Pelvis Restoration up in the Motor City. The class was hosted by the Detroit Medical Center and their staff were very accommodating and made me feel right at home. This class was a nice mix of rehab and strength and conditioning professionals. There were only 4 newbies and the rest of the class had taken PRI coursework. This always makes for a fun class with lots of integration between the respiratory and pelvic diaphragms as it relates to gait and breathing. On Sunday, we mixed it up a bit, as it was my last class of 2018. The group widely understood my L AIC “Mustang Sally” analogy. It was quite fitting as I awoke to some snow on Sunday! Brrr… it was cold up North this past weekend. My VT Yankee blood has definitely thinned! We discussed how our patients and athletes are born into a LAIC pattern and compensate with their backs to override the pattern. This led to my PEC snowstorm on the Mustang Sally asymmetrical pattern. We began our treatment algorithms discussing the Patho PEC pattern management and related that compensation to a Winter Snow storm on top of our Mustang Sally. We reviewed the 3 signs of pathology and how these patients will maximize end range and stabilize on their joints vs. good muscle control. A lot of time and discussion was spent on the importance of securing inlet extension with IOs and TAs and inhibiting back extensors before moving into L AIC clinical efforts. Once we brushed off the compensations of the Patho PEC and PEC, we got down to business to review the RAIC treatment plan. This switch in presenting the material was appreciated as a lot of our Pelvis patients are in a PEC pattern and lack frontal plane control. Craig Stasio, PT from Simio Physical Therapy, assisted me. Thanks to Nick Jensen ATC from the Atlanta Braves for enduring my Right Iliacus emphasis and Mary Ann’s early question regarding respiration and the Pelvic Diaphragm. I look forward to taking a little break over Thanksgiving and seeing everyone in Lincoln for Advanced Integration in December! It was an honor to spend Veteran's Day Weekend with a fantastic group of movement professionals. On Sunday November 11, the 100 year anniversary of the end of WW I, we took a moment to honor those who have served our country. With the sounds of the Veteran's Day Parade outside, we spent most of our Sunday in lab. We were fortunate to have a large group of attendees, roughly half of whom had not been a PRI class before. We had the time to do a repositioning lab, spend over two hours on the Hruska Adduction and Abduction Lift tests in detail, and then follow that up with another lengthy lab of progressing through PRI non-manual activities. Not often do we have the opportunity to have so much lab time, and then carve out some time to discuss and demonstrate how to get an individual from a PEC pattern into a L AIC pattern, for those who were new to PRI. My great thanks to my lab assistants, Neal Hallinan, PRT, and Sean Light, PRT, who were invaluable with such a large group. I would also like to thank Damian Estrada, Yelena Gremban, Matthew Zimmerman, Tara Lewis, and Beth Lewis for their questions, re-states, and volunteering during our lab demonstrations. We were able to navigate our way through normal and pathological mechanics, the myokinematic ramifications of being stuck in a L AIC pattern, and we were able to progress into assessment of patterns and pathology of patterning. Which allowed us to spend as much time as we did to the Hruska Abduction and Adduction Lift tests and non-manual activities. Yes, neurology is a complicated topic. And understanding the link between the hamstring and the parasympathetic nervous system is an enormous paradigm shift. I appreciate and empathize with the difficulty that concept presents, particularly to those who have been trained in this wonderful country of ours. However, I would encourage those who are new to PRI to not completely dismiss this concept because it challenged your preconceived notion of neurology and muscular behavior. Thank you for such a memorable conclusion of my 2018 teaching calendar. I am already looking forward to 2019! 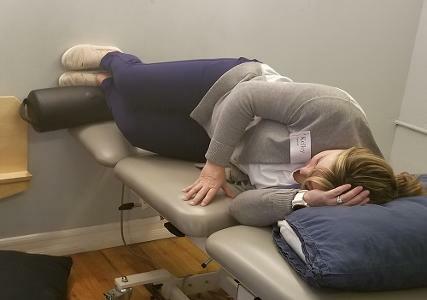 Impingement and Instability (Lima, Ohio)- Enjoyed my first trip to the historic city of Lima in Northwest Ohio and it was a fun interesting weekend. Thank you to Alex Maag, DPT, PRC for your generosity as our host site coordinator and to the entire Lima Memorial Hospital rehab team for making the visit such a nice one. I learned some cool things about Lima Ohio, before even getting there. Several people who knew I was going to Lima had the same question for me, "while you are there, are you gonna go to Kewpee Burger?" I didn't know much about it, but enough people asked me about it and shared their enthusiasm for the place, I knew I had to visit the historic burger joint while in town (twice :). I learned the small burger chain began in Flint Michigan in 1923 and it was named after the Kewpee Doll, originally being called the "Kewpee Motel Hamburg". The burgers were square and tasted a lot like a Wendy's hamburger and they were offered with chocolate shakes that tasted a lot like a Wendy's Frosty. C'mon Dave Thomas (headquartered in nearby Columbus), come clean and acknowledge that your great idea for a burger chain may not have been that original. And to Kewpee Burger, thank you for all the great innovative ideas and for your tasty offerings. Impingement and Instability, ... speaking of innovative ideas and useful offerings. In this case the innovation and usefulness was designed for the world of rehabilitation and performance medicine. I have been grateful to Ron Hruska for putting this body of work together since i first had exposure to the material back in 2004 (the first formal I & I course was actually taught in 2007) and I appreciate the honor he has given me to teach it. It is the course that keeps on giving. I have attended and taught this course more than probably anybody else, except maybe Mike Cantrell, MPT, PRC and I learn something new each time I teach it. I can't believe how truly innovative this material was 14 years ago when I was first exposed to it and it continues to challenge and impress me to this day. The course is all about neurological awareness and sense of three things: 1) breath, 2) body position and 3) upright frontal plane control of center of gravity in space. When you lose these senses and/or the neurological awareness of these senses, instability can emerge in several different areas. This course goes over the neurological reference centers needed to minimize instability at the calcaneus, femur, ilium and scapula. 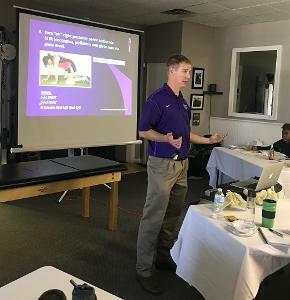 The course then goes on to provide treatment recommendations for stabilization of the foot and ankle, tibia, femur, ilium and scapula, designed to be superimposed on top of the good preliminary work of AF and TS repositioning and stabilization, learned in PRI's introductory courses. Thank you Ron for an awesome body of work that continues to challenge and inspire. Diakadi Fitness located in the City by The Bay, San Francisco hosted its first PRI course this past weekend. Attendees came from as far away as Japan and Ottawa, Canada and represented a wide range of professions including physical therapy, chiropractic, dentistry, athletic training, strength and conditioning and massage therapy. Over 2/3 of the class were first time attendees to a PRI course with many in attendance their first time taking Postural Respiration. The shift in thinking from a more traditional orthopedic approach to concepts like lateralization, balancing asymmetries, neutrality, stabilization vs. motion control, the effect of the diaphragm on the direction a pelvis will turn with ribcage kinematic influence on spinal rotation and how to test and treat via PRI principles was profound for the group. As always, pathomechanical compensations for breathing defined by Superior T-4 syndrome were discussed in detail and presented a new "paradigm" or way of observing and thinking how reliance on accessory muscles can create dysfunctional patterns of breathing and movement. 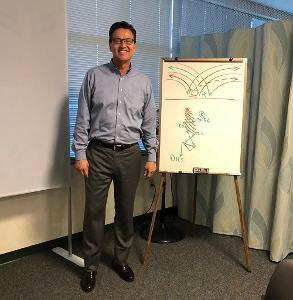 One new attendee volunteered and briefly discussed the effects that PTSD can have creating a sympathetic response affecting every system in the body. He was in the military for four years then a firefighter/paramedic for six years and the lesson is each person brings a unique history with them into our clinics. In addition, he grinds his teeth at night so integration with other health professionals is always a must when needed. Thanks to Caleb Chiu and Joe Cincinelli for lab assisting and Tiana and Andrea for helping with sign ups and hosting duties! Announcing our 2019 Interdisciplinary Integration Symposium Agenda and Speakers! We are so excited to announce the agenda and speakers for our 2019 Interdisciplinary Integration Symposium, titled "Airway Oscillation: An Interdisciplinary Approach to the Production of Voice, Airflow, and Resonance". 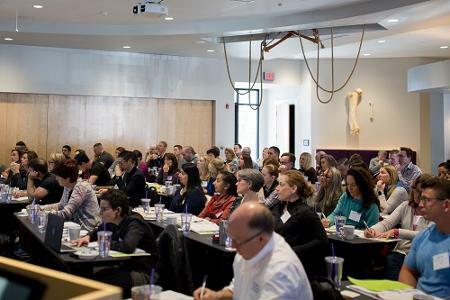 The 11th Annual Interdisciplinary Integration Symposium will be held in Lincoln, NE on April 11-12, 2019. The speaker line up and two day agenda are outlined below. To learn more about the course (including description and objectives), and to register online, CLICK HERE. Don't wait to sign up, this one is sure to fill up!